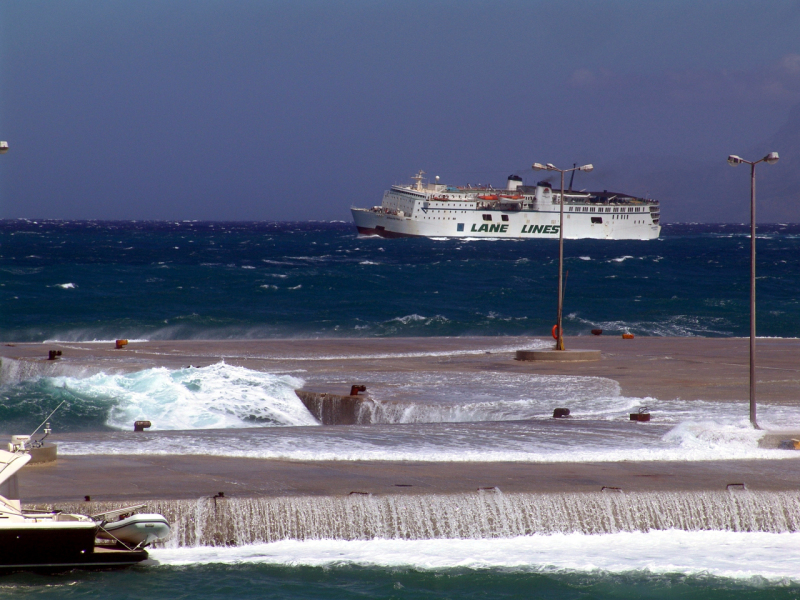 ferry Ierapetra L approaching Kassos island (Greece)on 4/9/2005. Due to adverse weather conditions vessel was not possible to call at the port. This photo has been shown 435 times since it was added to the site.